Long before brand marketing became a ‘thing’, brand names were simple; it was your family name. It is easy to forget that Rolls-Royce, although now part of the global lexicon of luxury, was just another car maker, no more than the names of two Victorian businessmen conveniently combined. Indeed, the designer, Henry Royce, plays eternal second-fiddle to Fulham car dealer, Charles Rolls. Nor was Rolls-Royce really a car (as we currently understand the word) until after the Second World War. Up until the 1940s, a Rolls-Royce was just a chassis, engine and gearbox, and all the luxury we associate with the brand was added by coachbuilders such as Mulliner and Park Ward. If Henry Royce was good at one thing, it was building strong, slightly over-engineered engines and gearboxes in a tough chassis, and it was this reliability – quite expensive to achieve – that propelled the names of these two men forever into the history of luxury brands. Traditional company names were mostly self-aggrandisement. Bentley and Morgan were named for their founders, though the Aston in Aston Martin is the name of a racing circuit, and Jaguar stands alone in having acquired its name for marketing purposes. Jaguar was originally the name of a Swallow Sidecar company model, and Swallow adopted the model’s name as its company name as their interests moved from one wheel to four. The definition of luxury has also, inevitably, changed with time. In the period when Mr Royce was designing chassis, the staple of transport worldwide had four legs. It is no coincidence the power of engines was described in horsepower. If you wanted to stay dry, you travelled in a ‘car’ behind a horse. At the time, ‘car’ (a word with truly ancient origins), meant any wheeled vehicle. Tyres were originally the steel bands around wooden wheels, named because they ‘tied’ the wheel together to ensure strength. Despite being invented in the late 1800s, rubber tyres were really a 20th century innovation which shod bicycles, not horse carriages. In the early days, a luxury motorcar merely involved glass windows and sprung seats. Sprung suspension on motorcars meant leaf springs – originally made by blacksmiths for horse-drawn carriages. It stayed this way for five decades. The development of luxurious features unique to motorcars began quite quickly though. Passenger heating was an early and obvious innovation, using some of the excess heat created by the internal combustion engine. Electric headlamps were possible only on motorcars, though it took almost 20 years for electric starting to arrive, largely because one had a chap wind the crank handle for you. Henry Royce was among the first engineers to realise you could reduce engine vibration and, to some extent, noise by building multi-cylinder engines; the Silver Ghost from the turn of the century had six cylinders when most cars had only two or four. The nature of luxury in those early days of motoring was largely down to practicality; there is nothing luxurious about waiting half an hour while one’s man cranks the engine unsuccessfully. Motorcars which were simply reliable were a luxury, and once that nut was cracked the focus then shifted to the comfort of the journey. In the early days, coachbuilders brought in most of this innovation. Rolls-Royce favourites, Park Ward, developed an all-steel body (before this era, wooden frames were the norm), which sat on rubber blocks on the chassis, reducing road noise. Traditional craftsmen then worked at creating the interiors with handcrafted horse-carriage technology. British marques such as Bentley and Roll-Royce persisted with third-party coachbuilders long beyond their sell-by date; by the 1920s, mass-produced cars were already being built in their entirety in-house, albeit still in the body-on-chassis style. It was inevitable that everyone would be compelled to follow suit when ‘unibody’ construction methods brought body and chassis together permanently. Post-war, car production took on a far more industrial guise and, as mass-market economics took hold, innovation was everywhere. Even so, it is amazing that so few creature comforts were available, even to Rolls-Royce owners, as the Swinging Sixties drew to a close. Mr Eatenton has many humorous stories from his years of expertise in the industry and recounts one anecdote: “I remember one £16,000 bill for a Rolls-Royce which I suspect had been jump-started, it knocked out circuits all over the car. It is a bit like stubbing your toe and getting pains in the neck – the symptom might not be related to the source. Problems like these can be well looked after by firms such as Hagerty, the UK’s only specialist classic car insurance company, run by classic owners and enthusiasts, and while men with planishing hammers no longer beat body panels into shape, and only Morgan hand-crafts ash frames for the bodywork to hang on, what has not changed with most luxury cars is the craftsmanship which completes them. The Chelsea Workshop employs coach-lining painters to restore post-war cars, but so does the Rolls-Royce factory in Goodwood. Their coachliner was headhunted from the pub sign painting business. 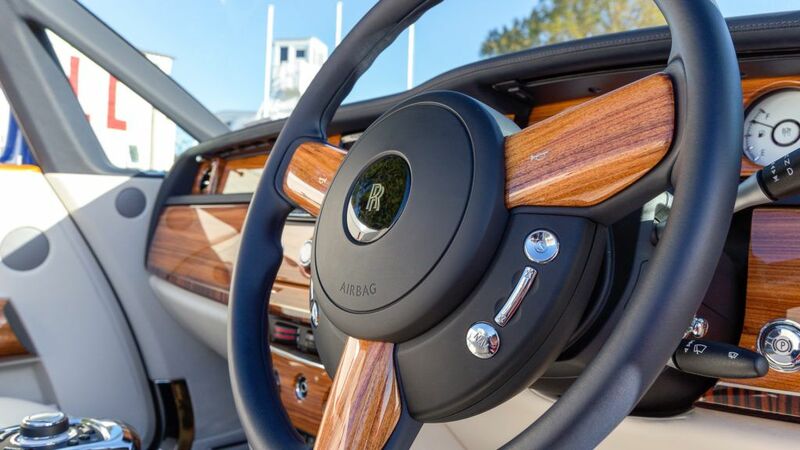 Great dashboard trim is still the result of skilled cabinetry using fine veneers. Those leather seats are stitched by real tradespeople, from hides that have been selected by perfectionists. The reason is that customers quite rightly demand perfection. In terms of luxury, buyers can have almost anything they can afford. While it is more ‘bling’ than luxury, Rolls-Royce offers a ‘starlight’ roof lining at £20,000-plus. This fibre-optic night sky in miniature faithfully replicates the starscape over the new factory on the day it opened. The real luxury, though, begins beneath the skin, with silky engines and seamless gear changes, sound insulation good enough for lovers to whisper secrets en route to Cannes, and electronics that make decisions for you. 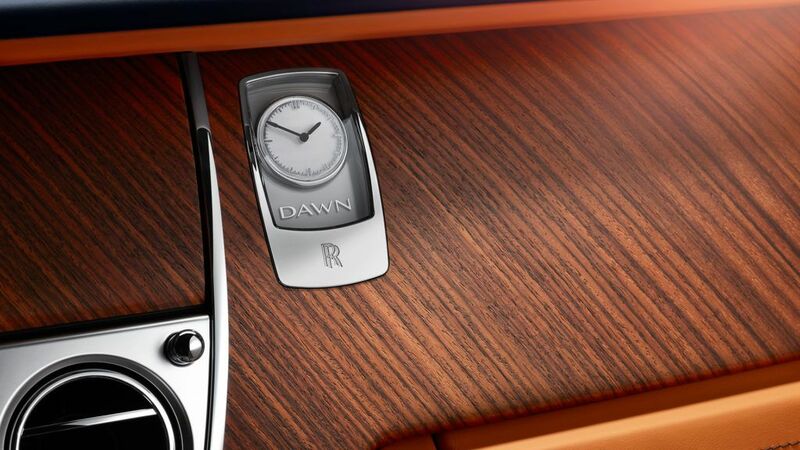 For example, the Rolls-Royce Wraith uses GPS to ‘watch’ the road, the gearbox automatically selecting the ideal gear to negotiate a sharp bend. Sensors in every corner monitor the road surface for imperfections, adjusting the air suspension so you can barely feel the changes. The fact is, luxury cars cling to the past even in high-volume production. Aston Martin’s design team still use the same Golden Ratio (a proportional ratio of 0.61803, since you asked), which the Greek sculptor Phidias may have used to create statues in the Parthenon, almost 500 years ‘BC’. It may not be craftsmanship, but it is tradition at the very least. Nor is craftsmanship defined by the use of traditional materials such as wood and brass. It is not hard to make the case that the people who carefully lay down layers of diaphanous carbon-fibre mat to create panels and even chassis components are craftsmen and craftswomen. With cars, as with any product, the value is added by hours of skilled labour and an eye for design. You can juice a lemon with a plastic squeezer, but Philippe Starck’s Wellsian, tripod-like, Juicy Salif is a way to do the same thing in style. Working intricately and precisely, craftsmen confer additional qualities to any object; it may even be art. Modern luxury cars built in England have never lost their allure. Throughout the dark days of British Leyland when, with a loose grasp of mass production, factories carelessly slapped together our future iron oxide, luxury carmakers still painstakingly assembled lustrous, desirable motors. Even now, with robotics, adhesives, computer-aided design and modern materials producing reliable, lasting cars on conveyor belts, luxury has the same meaning.